The vision of a four-hour high-speed rail trip from Tampa to Miami is becoming closer to reality. Tampa Mayor Bob Buckhorn gave strong support for the expansion of Brightline’s service to Tampa during a tour of the rail service’s sprawling MiamiCentral station complex. 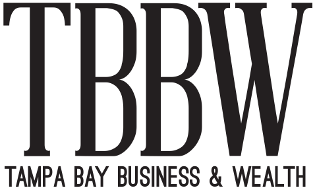 He was accompanied by an array of business leaders from the Tampa Bay area. Brightline President and Chief Operating Officer Patrick Godart is confident he will win a request-for-proposal filed with the state to have its trains run along the I-4 corridor from downtown Tampa to Orlando International Airport. The answer will come this month. Brightline now runs trains from Miami to West Palm Beach and is prepared to start construction from Cocoa to the Orlando International Airport with service starting in 2021. The trip from Tampa to Orlando would take about an hour while going to Miami would take about four hours. Brightline is novel in the United States as the first privately funded high-speed rail service. Godart calls it “higher speed rail” because it doesn’t travel quite as fast as some of the super-fast trains in Europe and Asia. Brightline trains travel at up to 79 mph in urban South Florida but will hit 125 mph between Cocoa and Orlando International. Brightline’s sleek trains are filled with amenities, such as plush leather seats that offer an abundance of USB and power outlets. There’s airline type service with a snack and beverage cart. 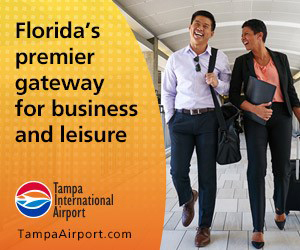 The long-distance trains to Orlando and Tampa will have a café car with more extensive fare. One major question is where Brightline’s station in Tampa might be—and Brightline hasn’t said. Using the Miami station as a model, Brightline would want a large site for transit-oriented development. Sister company Florida East Coast Industries already has finished two office buildings at the Miami station and is working on two residential towers. The office buildings are fully leased and up for sale. An office building is planned in Fort Lauderdale and an apartment building is under construction next to the West Palm Beach station. While the easiest option for Brightline in Tampa might be the Union Station used by Amtrak, it doesn’t fit the model of the modern stations Brightline has built in South Florida. And it looks like space for other development could be a challenge. Another option might be a large parcel on Morgan Street that’s owned by the Florida Department of Transportation. It previously was envisioned as a station for the high-speed rail plan that was derailed by Governor Rick Scott several years ago. It’s now used for parking. The Tampa Bay Times reported that Brightline has looked at the Tampa Park Apartments, which are close to the rail line that goes to Union Station. The Times reported that the U.S. Department of Justice has told the apartments’ owners that after failed inspections it will no longer support subsidized rents in half of the complex’s 370 apartments. That might motivate a sale. Miami-Dade Mayor Carlos Gimenez called the amount of development around MiamiCentral fantastic. “You can see how this is just sparking a complete redevelopment of this particular part of Miami and Miami-Dade County,” he said. Across the street from MiamiCentral is the 27-acre, $2 billion Miami Worldcenter project, which will have condominiums, retail space, a hotel and convention center. Brightline has positivley affected transportation in South Florida as an alternative to Interstate 95. Like I-4 between Tampa and Orlando, I-95 is often heavily congested during rush hour. 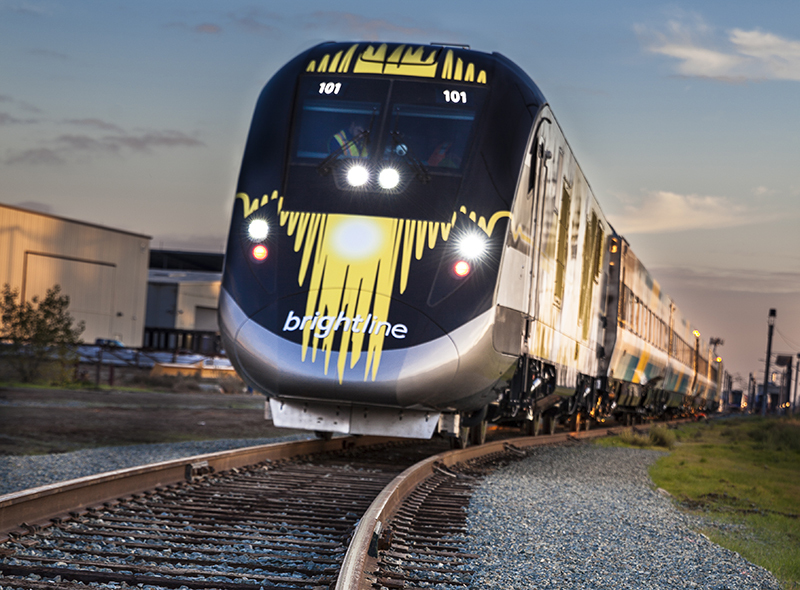 Spencer Pylant, vice president of public affairs for the Greater Miami Chamber of Commerce, called Brightline a force that will connect the three biggest population centers in Florida and combine to create the world’s 17th largest gross dometic product. Buckhorn got a laugh from the audience when he said the first thing he will do is bring a train car of Tampa- Cuban sandwiches to Miami. That was the latest salvo in trash talking between him and Gimenez about who has the best Cuban sandwiches. Buckhorn was enthusiastic about the development surrounding the Brightline station in Miami and said it would fit in well with other growth in Tampa such as Water Street, plans for a Tampa Bay Rays stadium in Ybor City and the growth of Channelside. Brightline’s impact would be further enhanced if Hillsborough County voters approve a penny sales tax this month on non-medical and non-food items for transit, he said. The referendum is expected to generate $289 million a year.